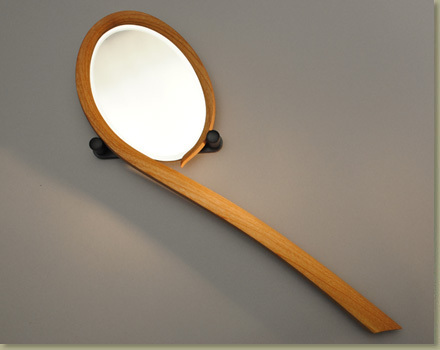 Steambent various woods, beveled mirror, solid wood backs made of interesting woods. Can be wall-mounted or sit on a bureau. 4" x 6" mirror x 14" long.